This year’s fall auction season brought with it some truly impressive wristwatches, and as usual, a decent number of this year’s highlights are vintage timepieces from Rolex. A big part of why collectors are so drawn to vintage Rolex is the diversity that can be found among the various watches within a single reference – a diversity that simply does not exist among their contemporary offerings. 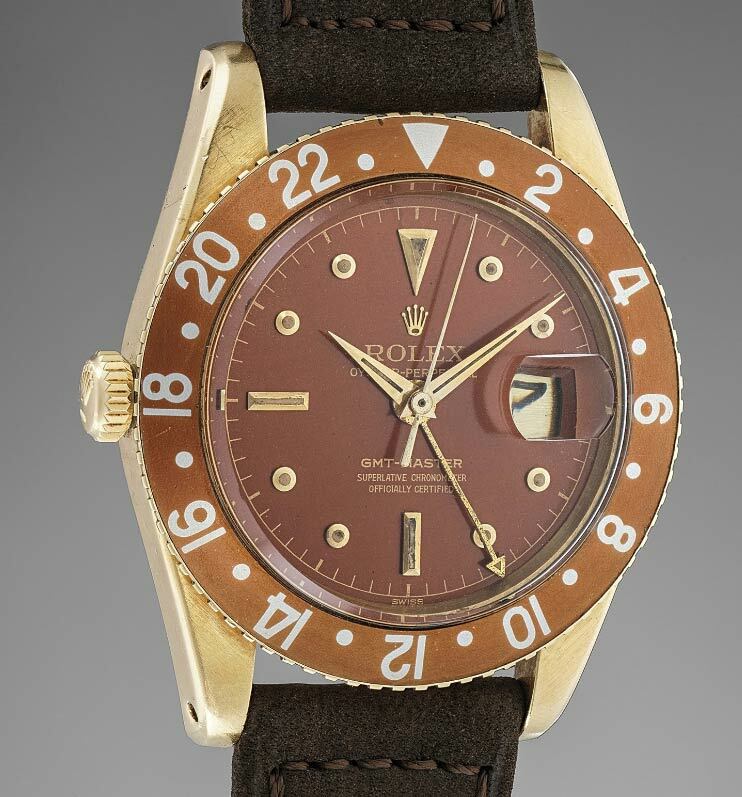 Some truly remarkable (and possibly one of a kind) vintage Rolex watches hit the auction block this year, and many of them sold for significantly more than the six-figure price point. Although the list of noteworthy Rolex timepieces that appeared this year is long and extensive, here are just a few of the truly unique, vintage Rolex highlights from the 2018 fall auction season. 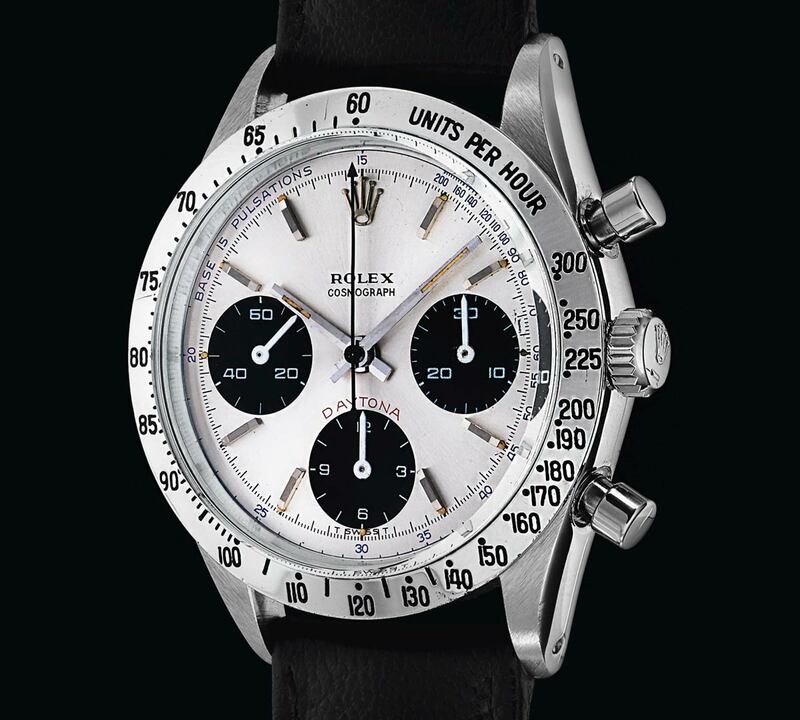 Normally, it is Daytona watches with “Paul Newman” dials that reign supreme among the various Rolex chronographs; however this year, it was a reference 6239 Daytona with a bright-blue pulsations scale along the outer edge of its dial that brought in a whopping CHF 831,000 (or $832,869.75 in U.S. dollars at the present time of writing). This particular watch dates back to 1967, and is one of only a small handful of reference 6239 Daytona watches known to exist with such a dial. Rolex frequently states that their flagship Day-Date watch is only ever crafted from precious metals; however it is known that a few stainless steel versions have been manufactured through the years for internal-use purposes, typically as prototypes or watchmaker teaching tools. These watches were never meant to reach the public, and often sell for significantly more than their precious metal counterparts whenever they manage to surface at auction. 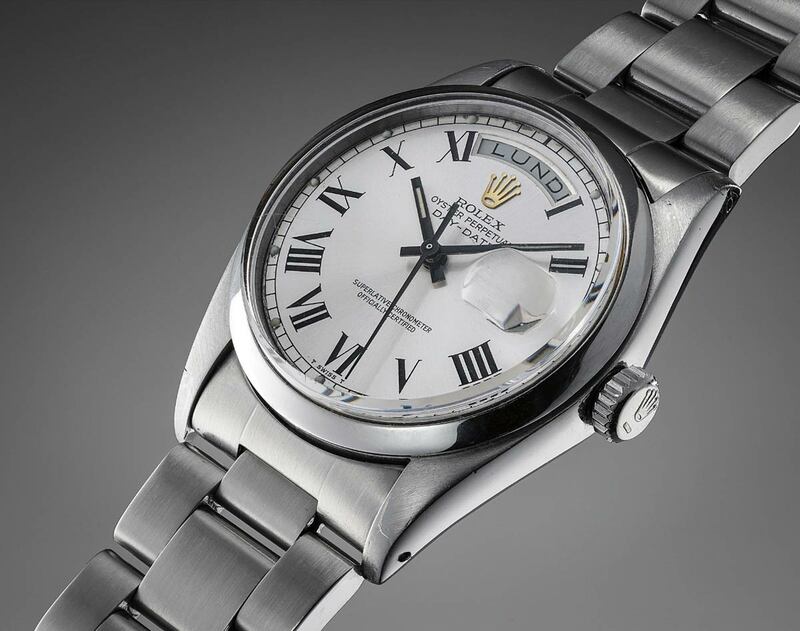 Such a watch – a prototype reference 1803 created to test Rolex’s caliber 3055 movement – was recently sold by Phillips for CHF 168,750 (or $169,129.69 in U.S. dollars at the present time of writing). Only a dozen “Singe Red” Rolex Sea-Dweller watches are known to still exist, and as they were essentially prototypes that were used for highly rigorous, real-world testing, they can be found both with and without the Sea-Dweller’s signature helium gas escape valve. 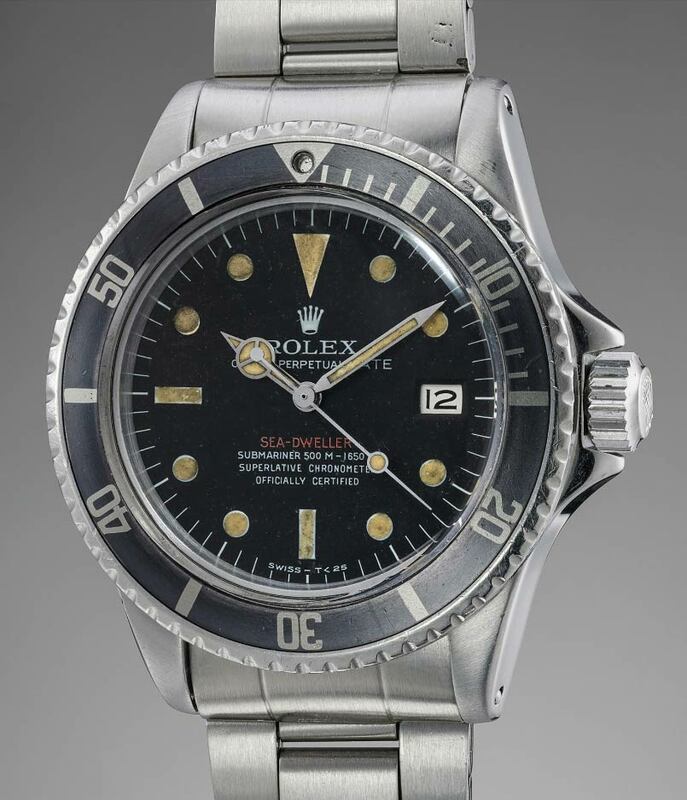 One of the surviving twelve (which happened to not be fitted with a helium gas escape valve) was given to American diver, Robert Palmer Bradley in 1968 by Rolex, to commemorate the 500th dive of the Deepstar-4000. Phillips recently sold that same watch for CHF 708,500 (or $710,094.12 in U.S. dollars at the present time of writing). 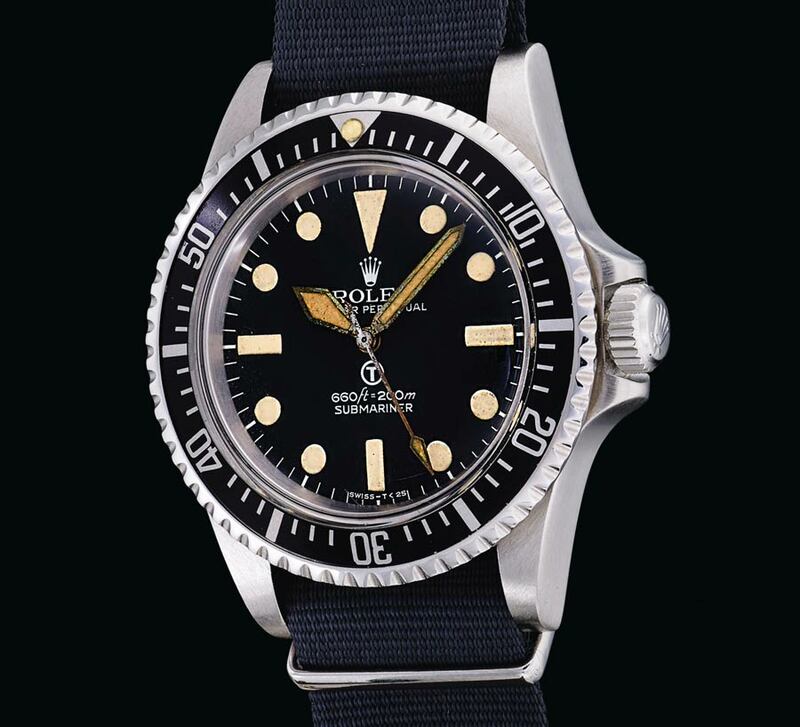 The Rolex “MilSub” is considered by many to be one of the Holy Grails of military-issued watch collecting. The reference 5517 “MilSub” that was recently sold by Sotheby’s for CHF 218,750 (or $219,242.19 in U.S. dollars at the present time of writing) is a fantastically well-preserved example that checks all the boxes that collectors look for in a military-issued Rolex Submariner. Despite its history with the British Armed Forces, nearly every aspect of this rare Rolex “MilSub” has managed to remain in excellent condition throughout the years, from its “sword style” hands, to its case-back engravings and fully demarcated bezel insert. Any reference 6542 Rolex GMT-Master in 18k gold is considered to be extremely rare and sought after by collectors. However recently, Phillips sold a highly unique (and possibly one-of-a-kind) reference 6542 GMT-Master in 18k yellow gold, with an original, left-handed crown configuration for CHF 200,000 (or $200,450.00 in U.S. dollars at the present time of writing). It is highly likely that this watch was manufactured as a special order, and it is possible that this is the only left-handed reference 6542 GMT-Master to have ever been produced in 18k gold.